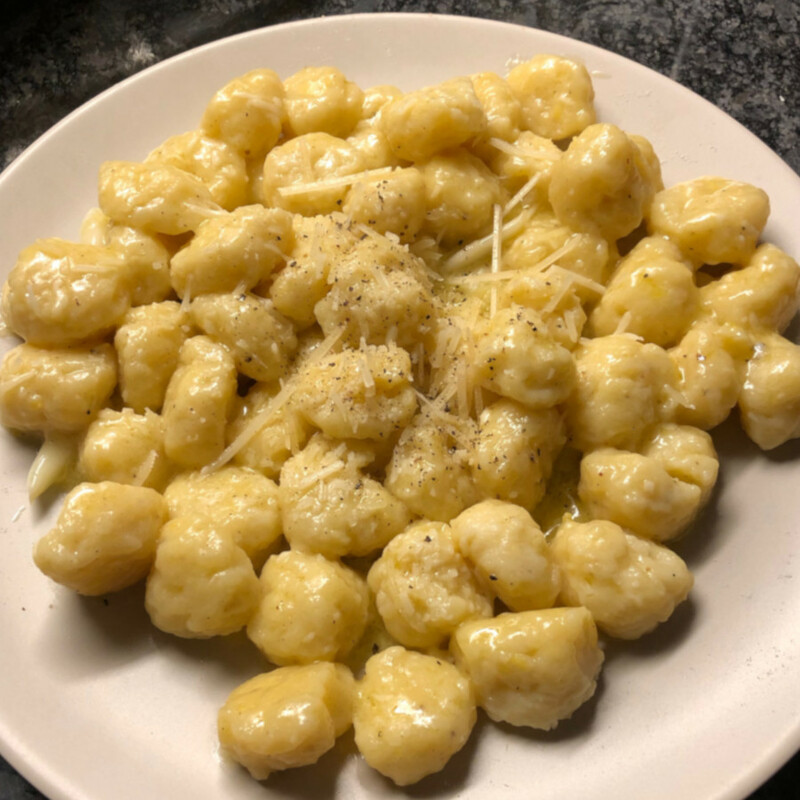 Use two spoons to form gnocchi and lighlty coat in flour. Use hands to roll into ball shape. Boil in salted water till gnocchi float.